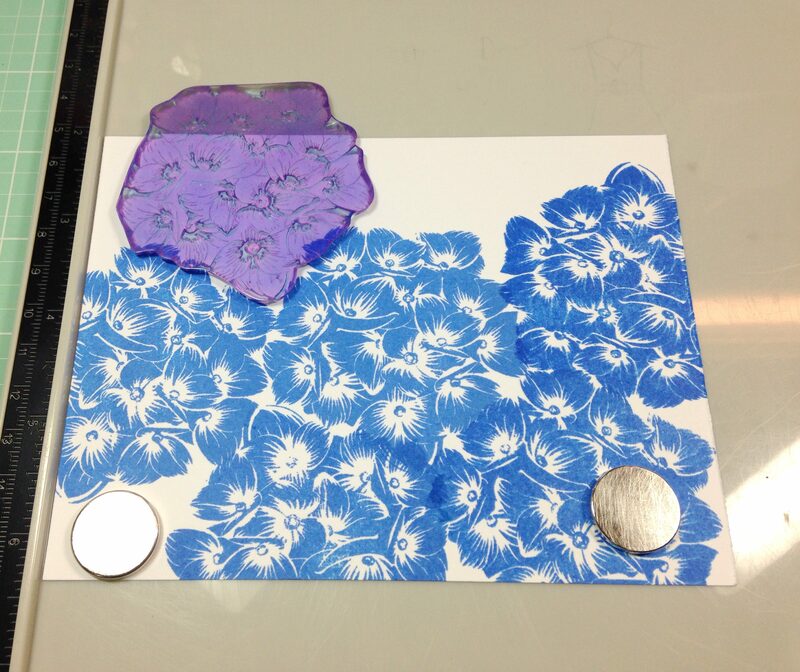 I started off with a white card stock panel and stamped the floral layer from Hero Arts’ Color Layering Hydrangea stamp set right in the middle. 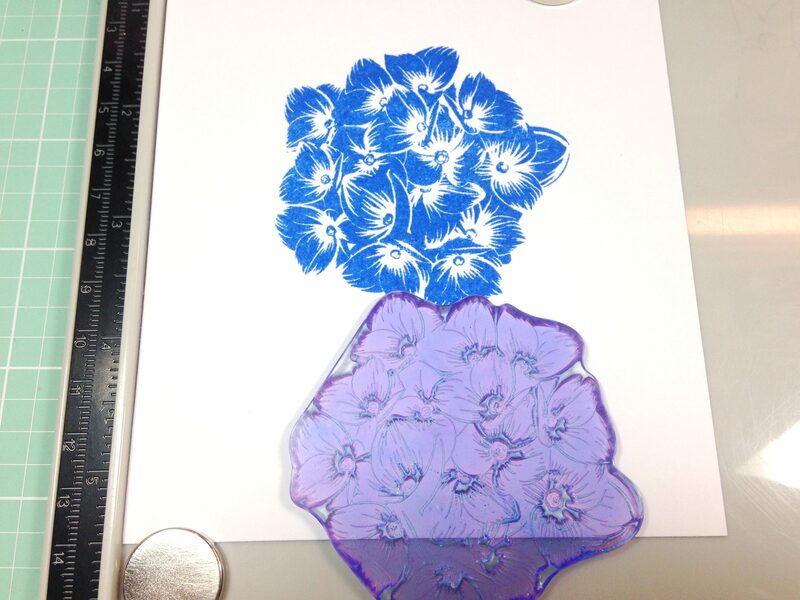 I followed up by stamping it again right next to the first flower, kind of fitting it in like a puzzle piece. A stamp platform works really well for this. 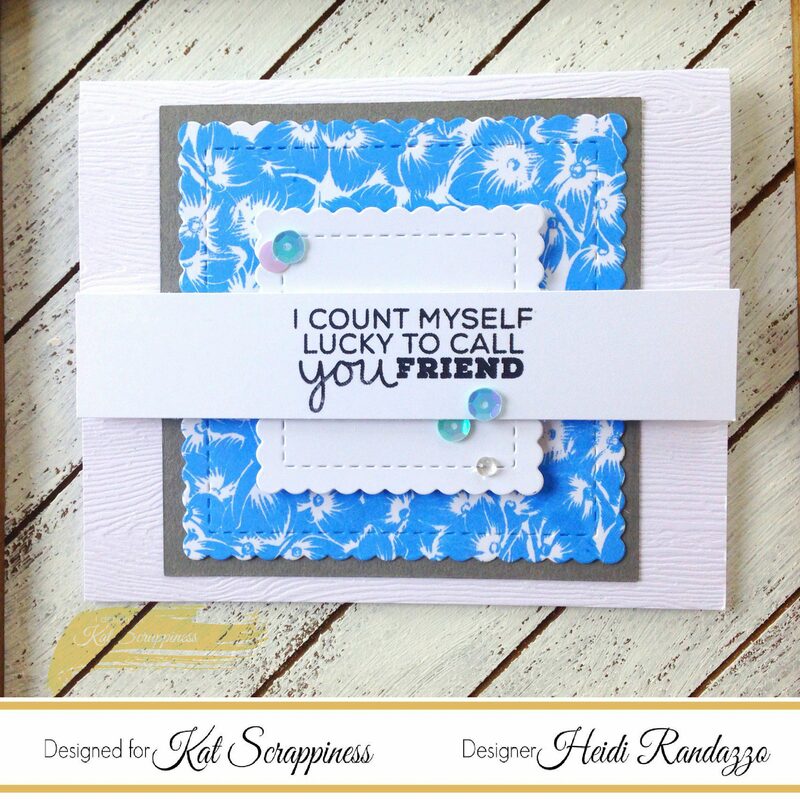 I used my new favorite summer-y ink pad from Lawn Fawn–Forget Me Not. 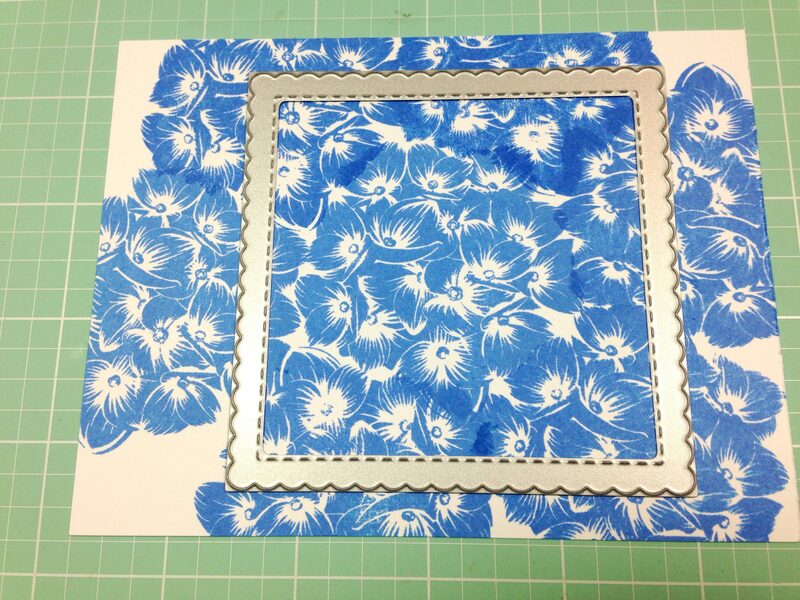 I continued to stamp the flower all around until I filled the panel. When I was finished, I took one of the Stitched Scalloped Square dies and used it to cut out the center of the stamped panel. 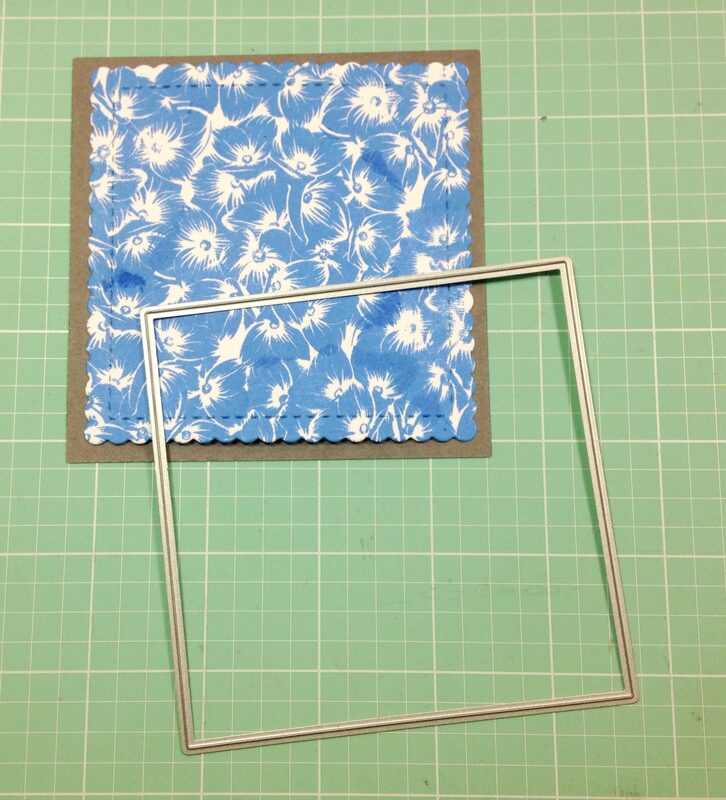 I backed that panel with a piece of gray card stock I cut using one of the Never Ending Square dies. I layered everything over a note card I made using woodgrain cardstock and added another white scalloped square over the top layers. A sentiment strip and some sequins finished it off. Those bright blue hydrangeas remind me of summer at the sea and those layers add such great texture. Thanks for joining me today. I have the products from the shop linked below. 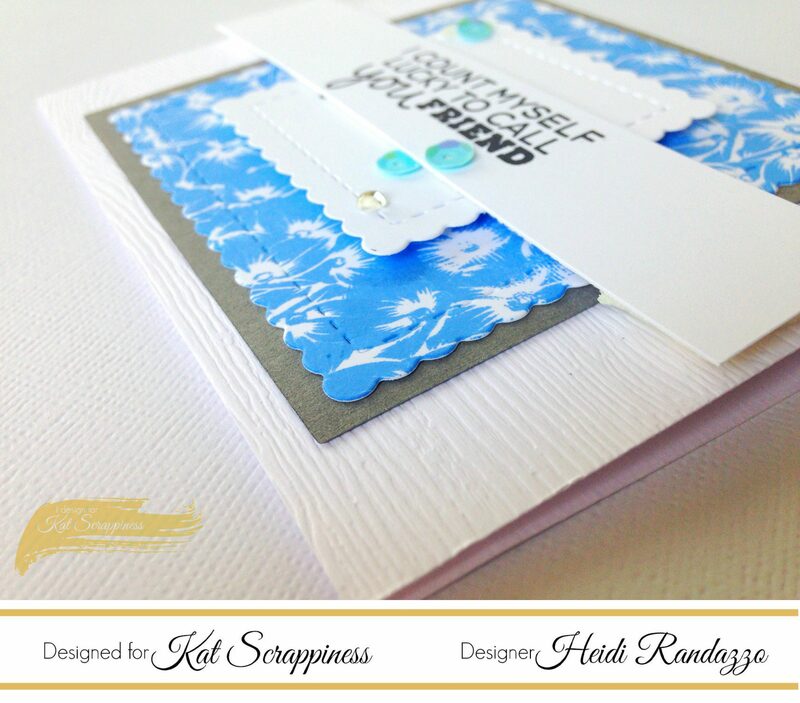 Feel free to use my code HEIDI10 to receive 10% off your purchase in the Kat Scrappiness shop. **Kat has a couple of options to create a woodgrain look on your card fronts–here, here, and here.